To hire Charles’ Bar for a separate drinks reception is £1000, on top of your other ceremony and reception hire. 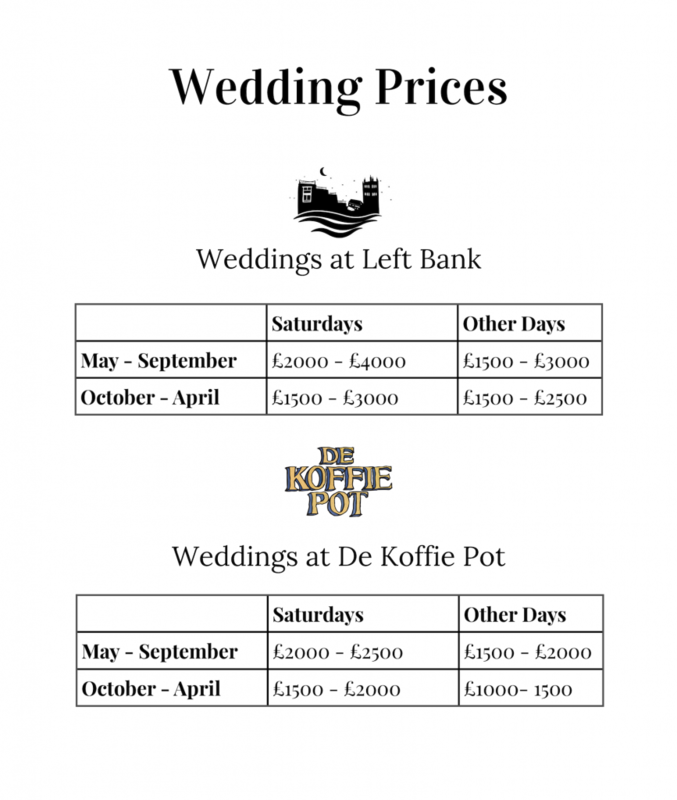 There is a charge of £500 to hold your ceremony at the venue. This is applied in addition to the Reception Hire charge. Please see further information about Registrar’s fees below. Please note that the Registrars fees are not included in the above costings, you must contact the Registrar in person and you must give at least 28 full days’ notice at your local register office. You need to include details of where you intend to get married or form a civil partnership. Your notice will be publicly displayed in the register office for 28 days. You may also need to give notice here if you plan to marry or form a civil partnership abroad. Ask the overseas authority if you’ll need a ‘certificate of no impediment’. You can only give notice at a register office if you have lived in the registration district for at least the past 7 days.